Adidas and Kanye West are aiming to release a new collaborative “Slat” iteration of their Adidas Yeezy Boost 700 silhouette. This upcoming sensation basically features a combination of suede and mesh construction covered in a White colorway. Furthermore, the contrasting Black rubber outsole enhances the shoe with a touch of class. 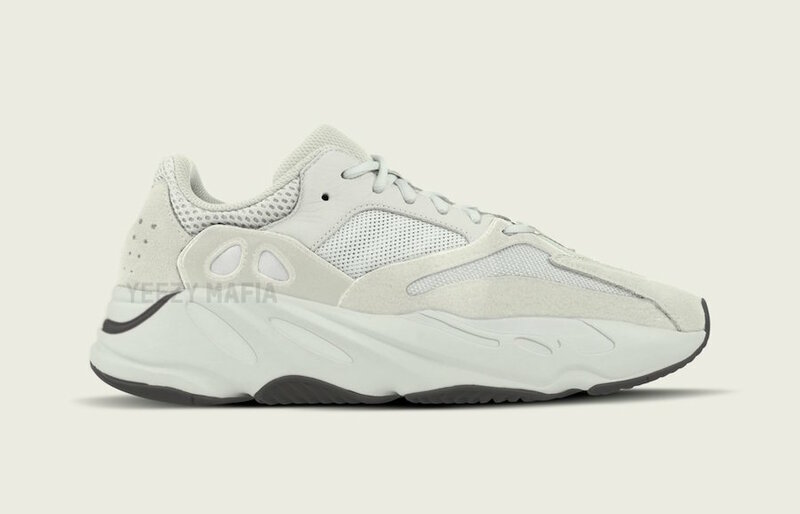 As for now, this Adidas Yeezy Boost 700 “Salt” remains to be a mystery as no official or unofficial images have been showcased over the internet. So, check out an image below of what to expect and wait for the Adidas Yeezy Boost “Salt” to release during the upcoming spring of 2019 at any select Adidas retailers.